Your customers are searching. We'll make sure they find you! Search Engine Optimisation is important for any website. If it’s not on page 1 your website is practically invisible, and really, it’s the top positions that get most of the clicks. As you already know, you need to be up there. Drive more customers to your website than any other online marketing strategy. Optimise your website to get the most value from it. Your customers are searching online, but do they find your company first? Get optimised and get your slice of the pie. Dominate the first page of the search results and give your business the exposure it deserves. We make all digital roads lead to you. Hooked on expensive marketing methods? Get your website standing firmly on its own secure footings and stop leaning on expensive crutches. We’re a company of internet experts, so if you have a problem we’re happy to advise. We’re not a faceless agency. You’ll get to know us and meet us face to face. It all starts here. After gaining an understanding of your business goals, we’ll dig down to see where our starting point is. We’ll not only look at your website (in depth, naturally), but also the competitive landscape. We’ll spot opportunities and identify weaknesses. This forms the beginning of a plan. “Top of Google” is not a strategic plan. With a full understanding of your business, we’ll put together a plan that delivers something that matters to you. Leads, sales, cost savings. Every business is different and every journey takes a different route, but that journey is just a wander without a destination in mind. The foundation of every SEO campaign, on-page optimisation aligns your website with the topics, keywords and geographical locations that are most important to your business. Pages are adjusted one by one, your website structure and are HTML improved and your website begins to give a clear message to the search engines. It’s often repeated that “content is king” and it’s true. Whether that’s building out your existing pages to have more substance and value, developing content to share and attract visitors, or writing articles to publish off-site to build authority and an audience. Content plays an important role in your SEO strategy. Building your authority online – via business listings, social media, publishing articles and more – is all done outside of your website to build brand awareness. Promoting your brand online to people first and foremost, in a natural but diverse way, is a sure-fire way to meet your business goals. We consider ourselves lucky to do what we do. Why? It’s our passion. Seeing your business grow is a real buzz.  Nothing is more rewarding to us than seeing your leads, sales and revenue rocket. We’re building our business on word of mouth recommendations. To be known as the Search Engine Optimisation Agency in Preston is our aim. This doesn’t work unless you’re happy, you’re getting results and you want to recommend us. We’re a team of career-long experts in website optimisation. It’s what we know and do best. We can really make your website sing! Other marketing agencies offer SEO. But they also do leaflets, brochures, exhibitions and more. SEO is one service of many for them, but for us it’s our specialist subject. It’s our bread and butter.